The capacity at Luton airport has been increased by the officials beyond the limit, despite of recently starting its major expansion of infrastructure at the site. 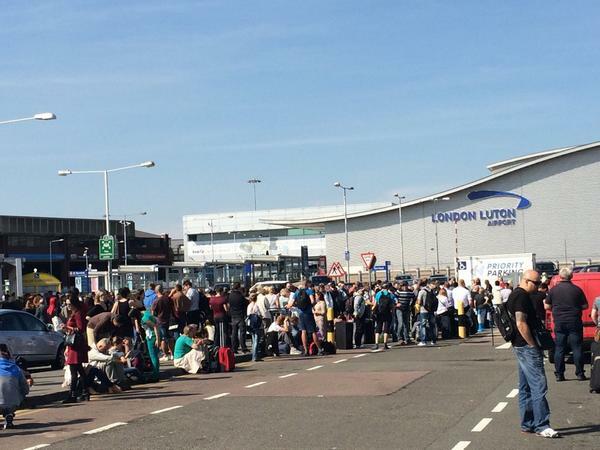 Many residents near St. Albans are protesting about this act of Luton airport. Among those unhappy with Luton’s services is Ian Salkey, director of St. Albans School of Languages in Market Place, who drives to the airport several times a week to drop off and collect foreign pupils. Ian is fed-up after constantly being stuck in traffic jams when approaching the airport, despite leaving in good time from St. Albans. “It is very chaotic. Most people you speak to have a story to tell of rudeness, long waits etcetera. The problem is you go through Capability Green, where you turn into Luton, when the queues start, and it can take an hour to get to the Holiday Inn roundabout. Luton Airport staff has slammed their employers for operating beyond capacity and creating “chaos” according to a local campaign group. In the latest London Luton Airport Town and Village Communities Committee (LLATVCC) newsletter, campaigners say there have been traffic jams extending almost back to M1 J10a, even at 4.30am. The stakeholders of Luton airport need to solve this problem immediately because people are having serious issue there. But we have a useful tip for them. Avail Luton airport meet and greet parking service for car parking and avoid all the hassles there.